111 W. Chestnut was a vacant lot for a long time and for many Gold Coast residents, it was simply an eyesore. 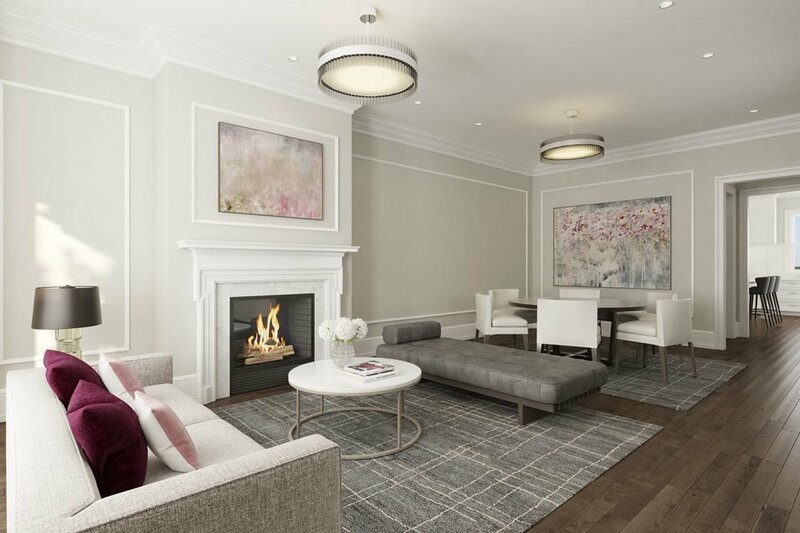 After years of waiting, there is finally a new project on the site in the form of 8 elegant row houses that are for rent. 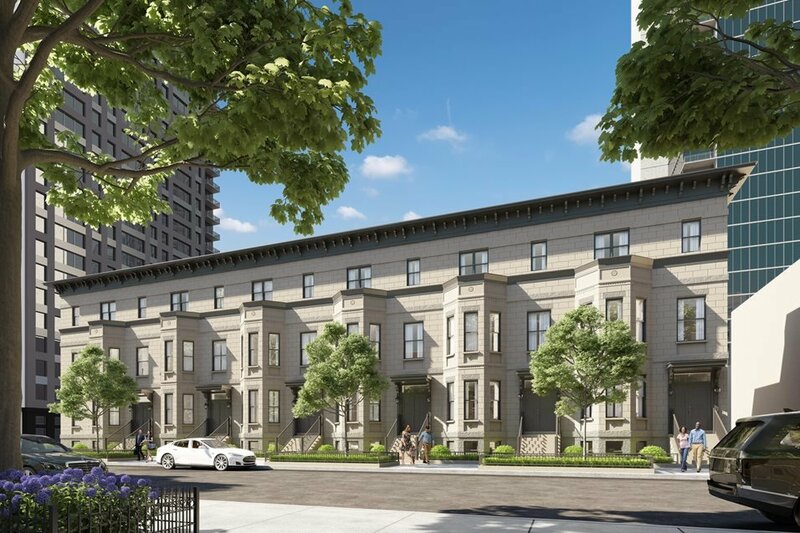 It was worth the wait, because this new project is a beautiful addition to one of Chicago's most sought after neighborhoods. Chestnut Row Homes consists of 8 stunning new rental row houses at the corner of Clark and Chestnut Street. 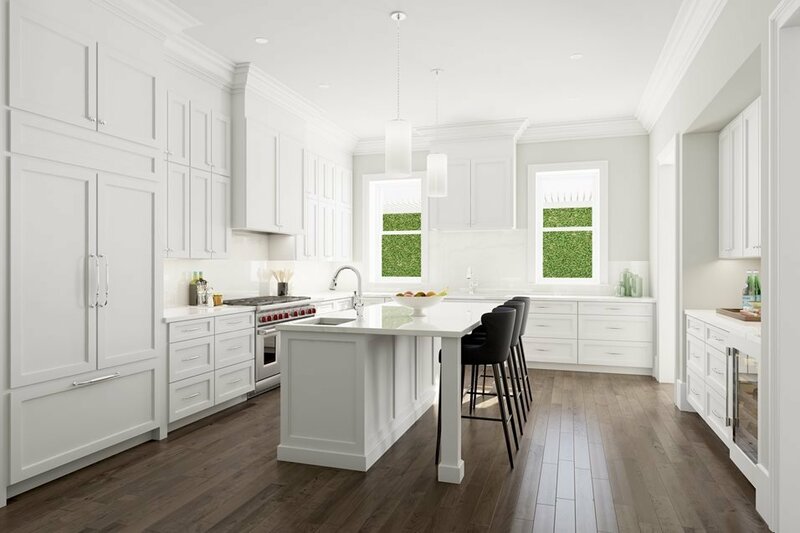 Inspired by 1880s area homes, these elegant new residences blend in seamlessly with the beautiful Gold Coast landscape. Each home offers about 4,000 sq ft of living space. Chestnut Row Homes offers 4 bedroom apartments ranging in size from 4,381 to 4,786 sq.ft. Community amenities include garage, four level homes, elegant limestone facade, traditional decorative cornices. Apartment amenities include air conditioner, cable ready. dishwasher, disposal, efficient appliances. For more information and rent availability, please contact Andreas Holder at (312) 893-3560. The Gold Coast is my favorite neighborhood in Chicago and the one I call home. It is one of the city's most lively and well known area. The Gold Coast is home to more then 66,000 residents, who represent a mix of affluent families and young professionals. Living so close to the best of what Chicago has to offer, like the Magnificent Mile, Lake Michigan and the lake front park affords its residents a wonderful and diversified life style. Rush Street is the neighborhoods' pulse for dining and entertainment. Gibson's Steakhouse, Hugo's Frog Bar, Maple & Ash and Nico Osteria are popular with locals as well as visitors to the area. The Gold Coast is also home to some of the city's best known luxury hotels, such as the Four Seasons, Park Hyatt, Sofitel and Thompson Hotel. The Newberry Library, which has been around since 1887, is not only a landmark but also serves as a highly respected institution for research. It has a collection of more than 1.5 million books, 5 million manuscript pages and 500,000 historic maps.